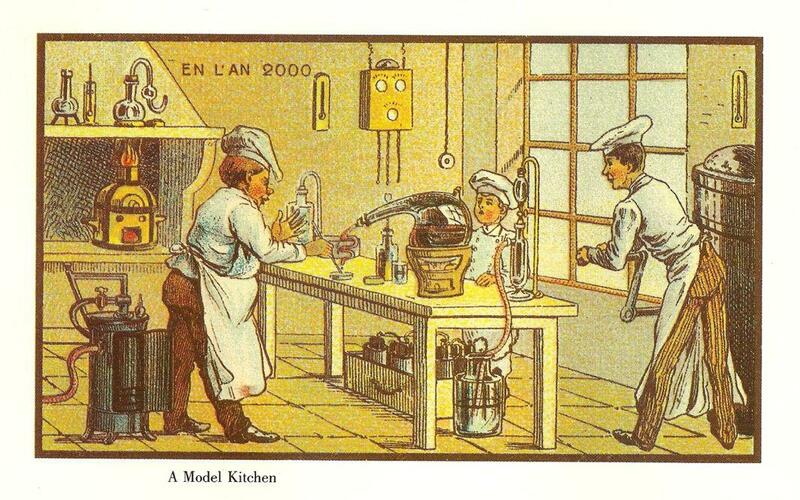 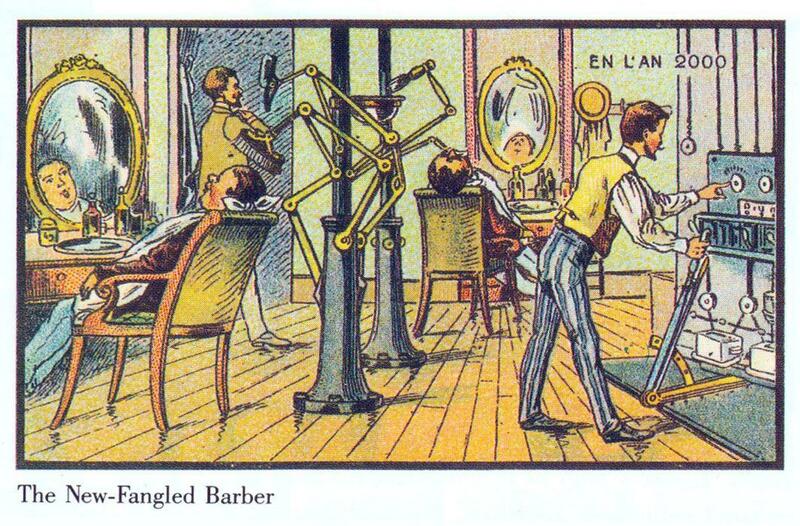 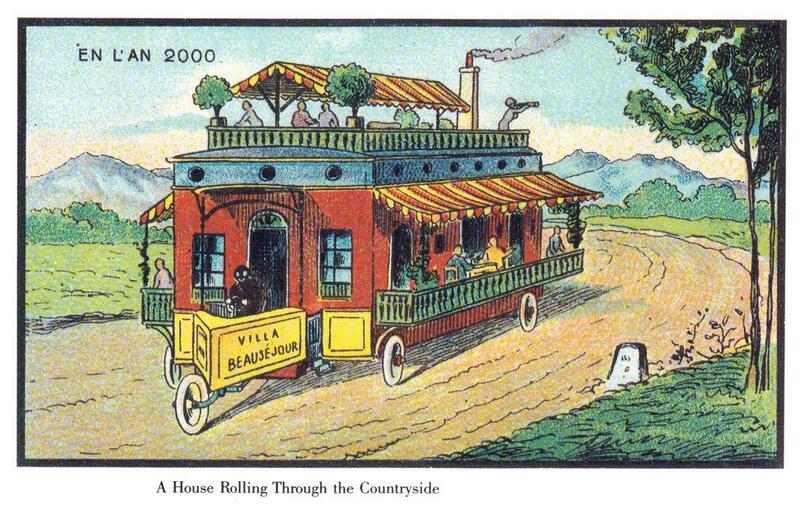 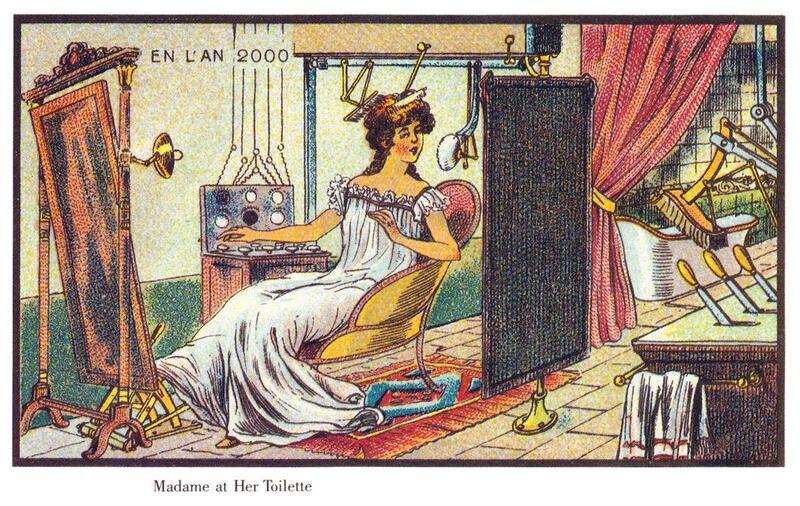 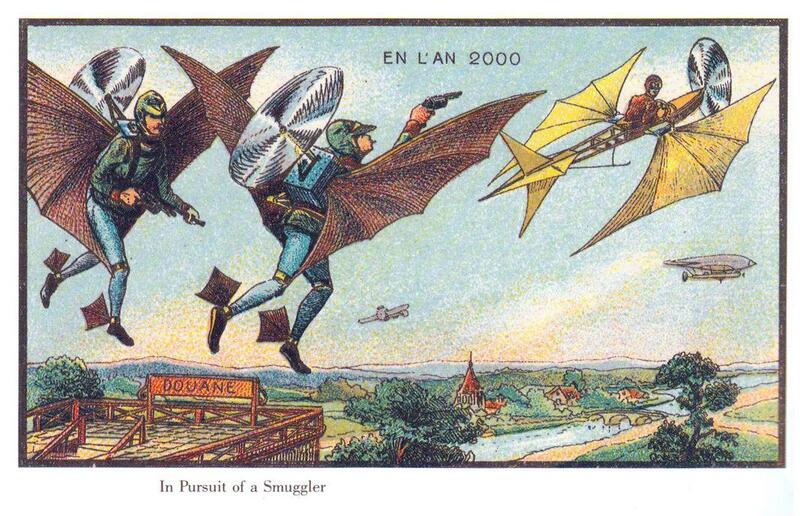 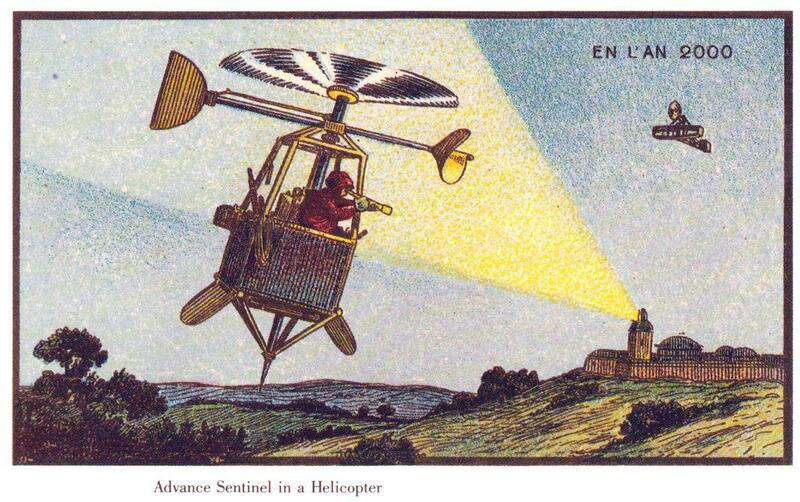 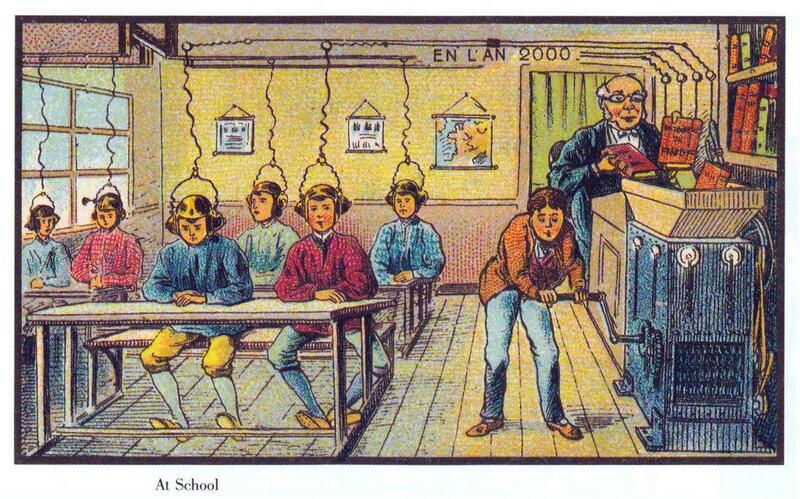 En L’An 2000 is a series of visionary illustrations of the year 2000 from Paris’ World Exhibition in 1900. 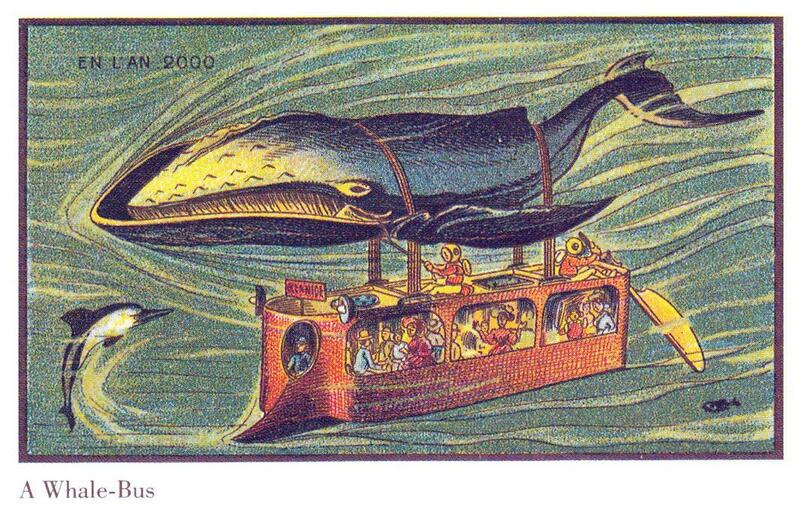 At the turn of the previous century, a group of French artists were asked to imagine the year 2000 by illustrating what kinds of scientific and everyday design inventions progress might bring the world 100 years into the future. 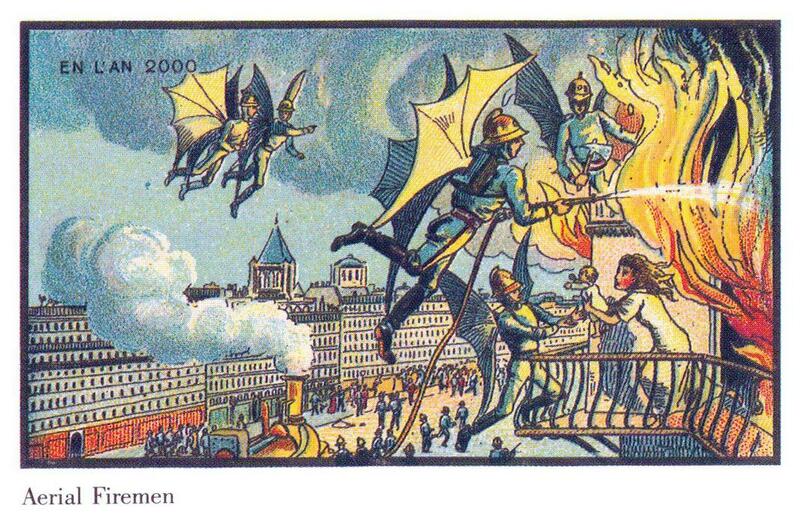 The result is a series of charmingly retrofuturistic illustrations called En L’An 2000 (literally, In the Year 2000, though sometimes loosely translated as Life in the 21st Century). 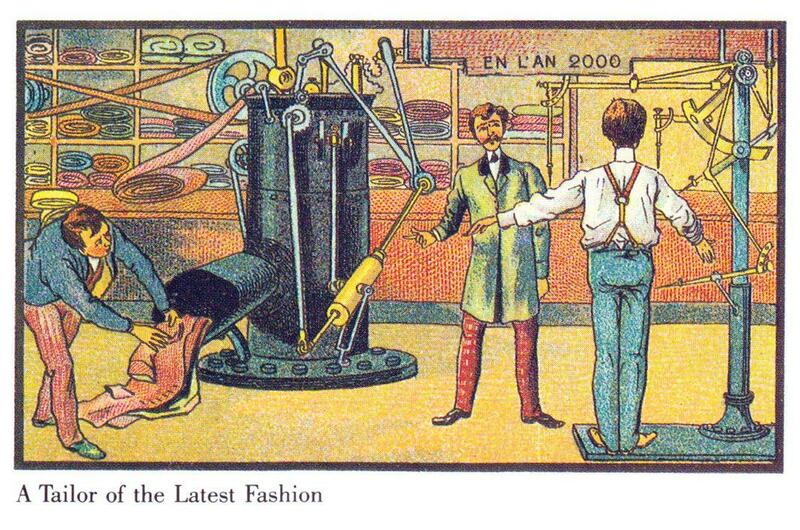 First produced for Paris’ World Exhibition in 1900, they were printed as cigar box inserts, then as postcards between 1899 and 1910. 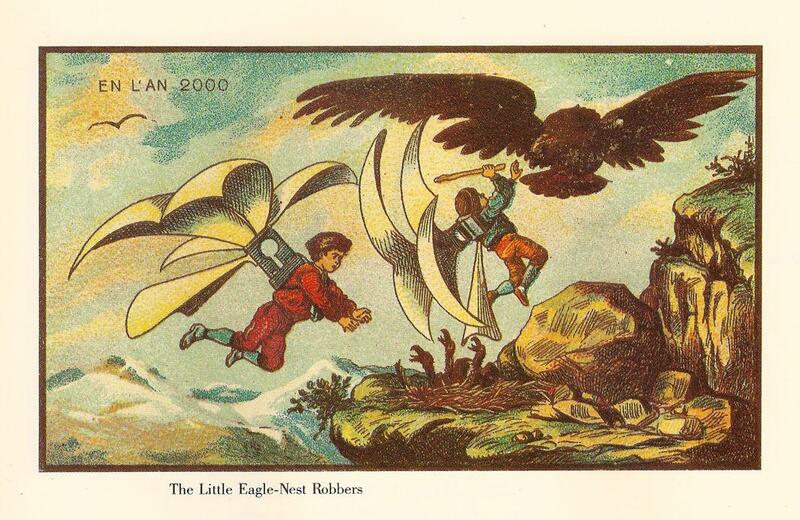 But sadly they were never distributed, seemingly lost to the world until science-fiction writer Isaac Asimov discovered a set in the 1980s, publishing them in his 1986 work of nonfiction Futuredays: A Nineteenth Century Vision of the Year 2000. 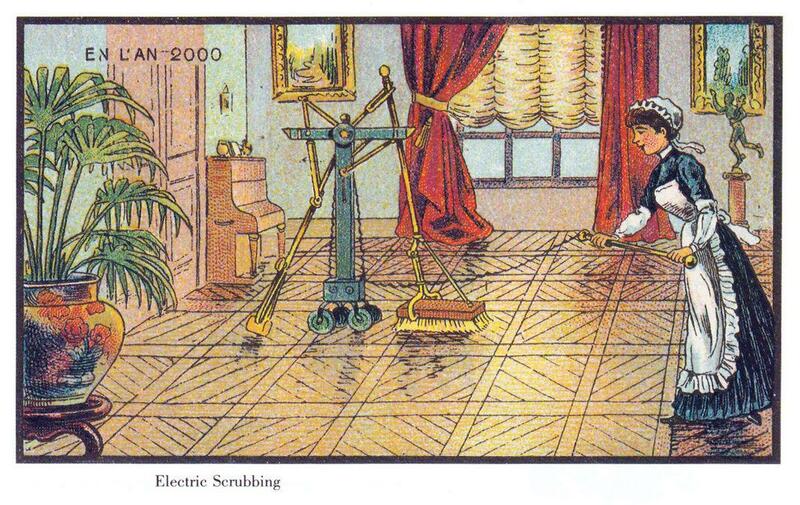 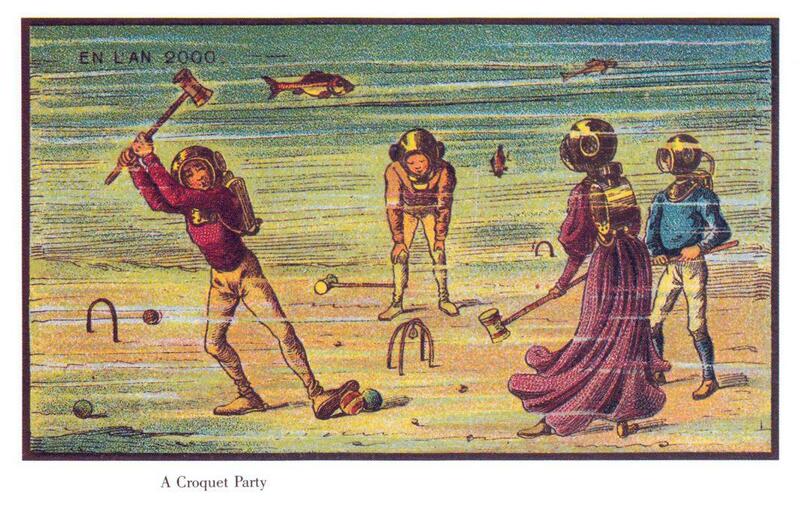 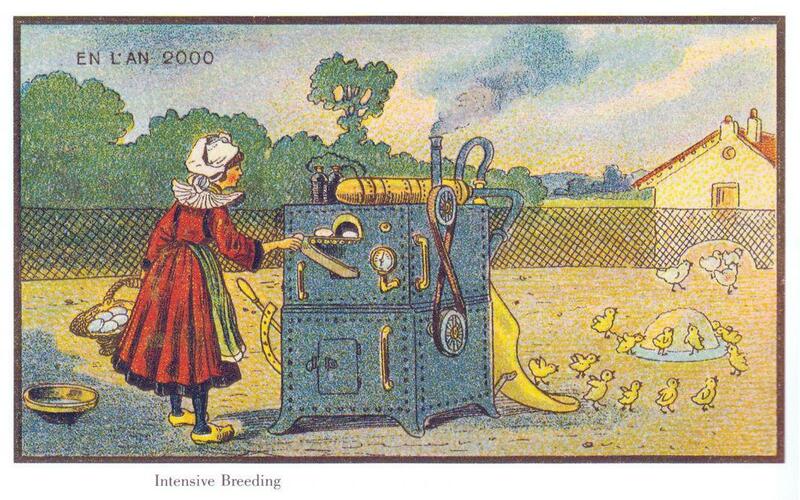 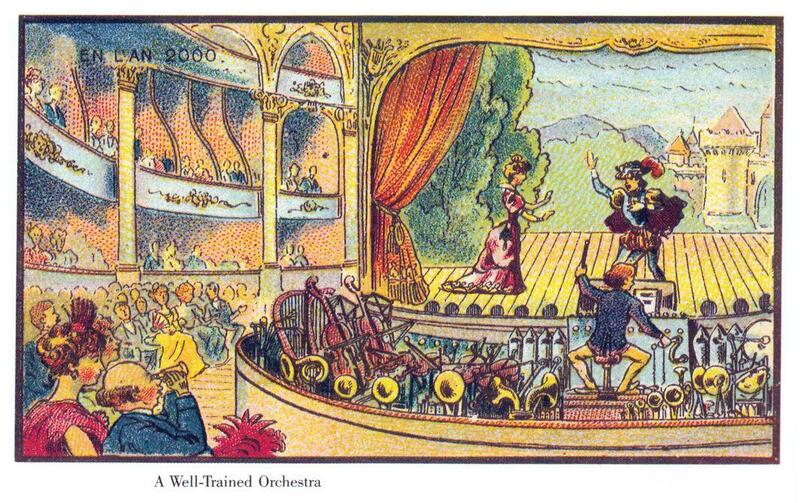 The illustrations reveal a hopeful future of machine-automated chores, and many scenes are set underwater or are takes on any number of flying machines, heavily influenced by the invention and burgeoning romance of flight. 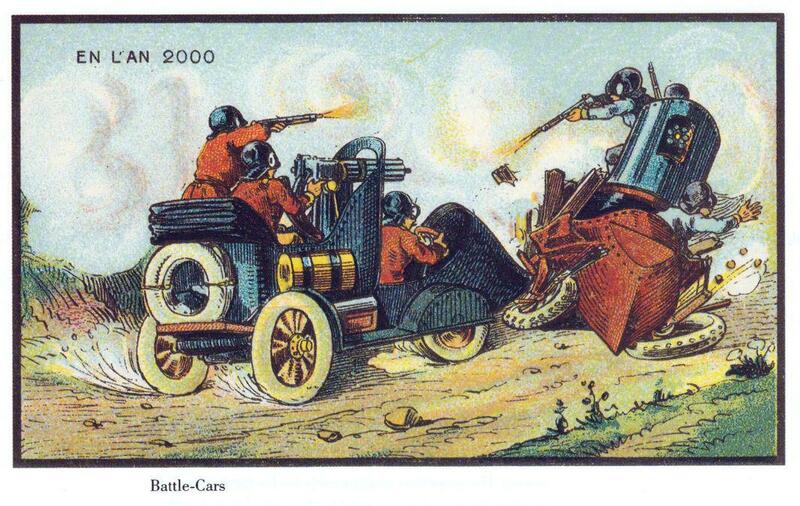 Public Domain Review points out that there are at least 87 card designs (51 of which can be found on Wikimedia Commons) by Jean-Marc Côté and other artists.